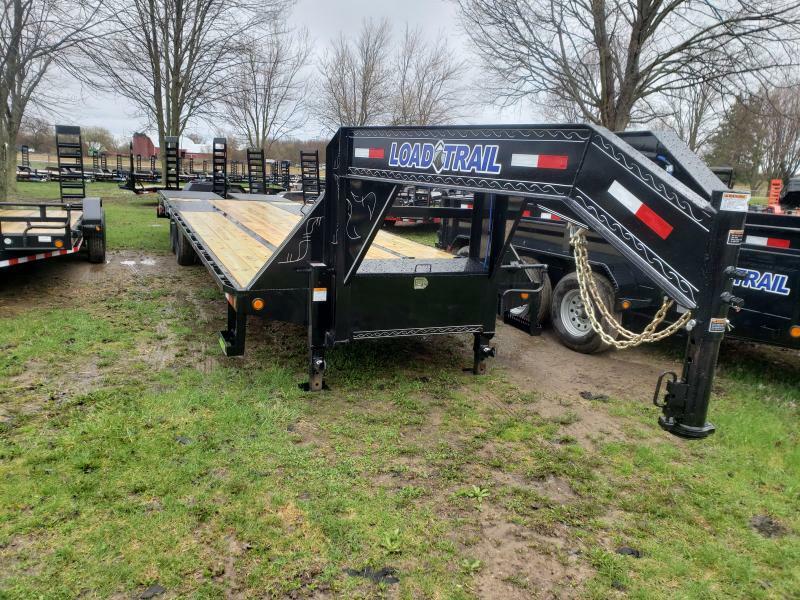 This is a load trail brand of trailer. 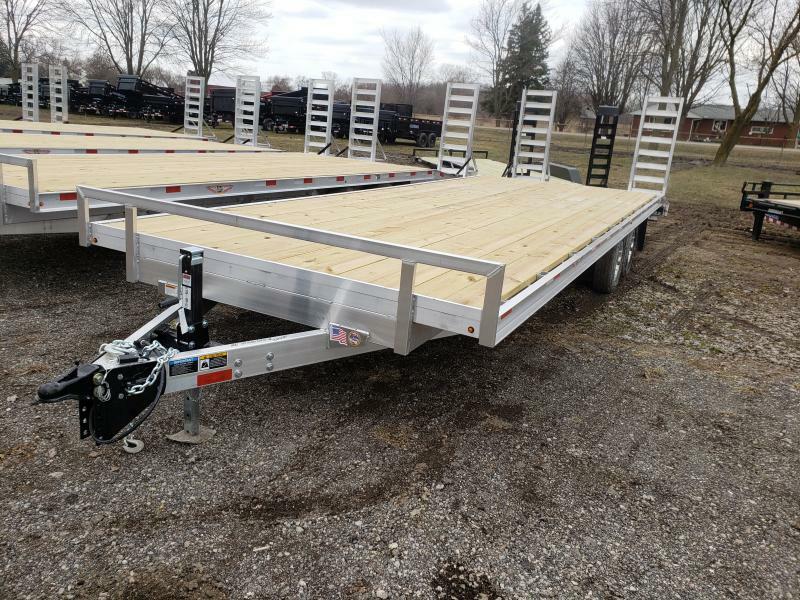 Michigan's #1 selling brand of trailer. 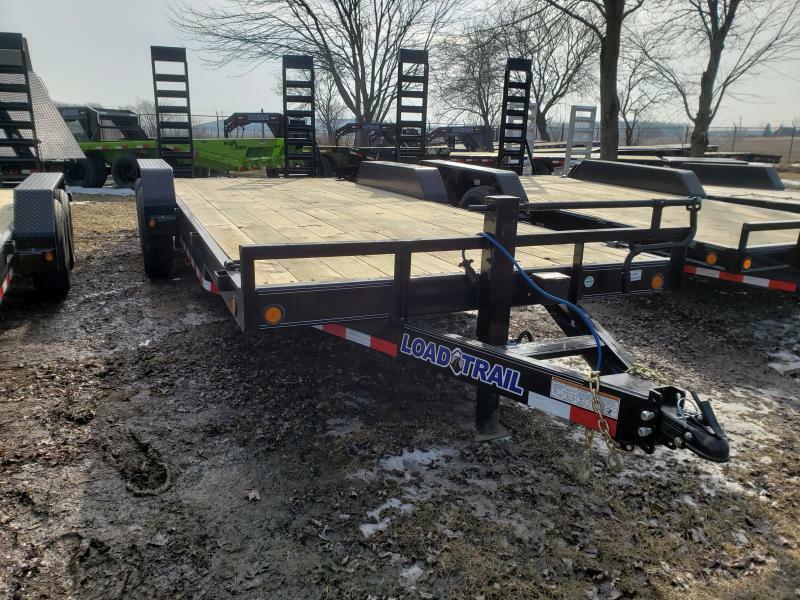 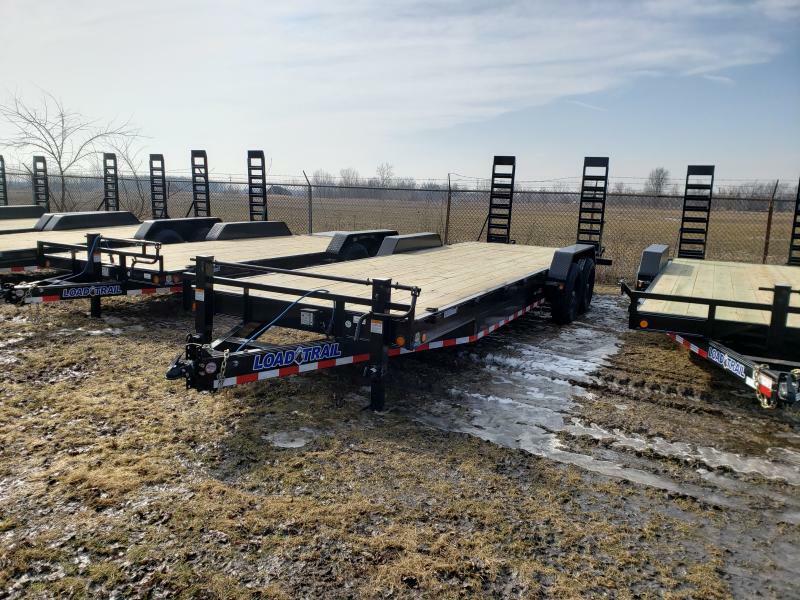 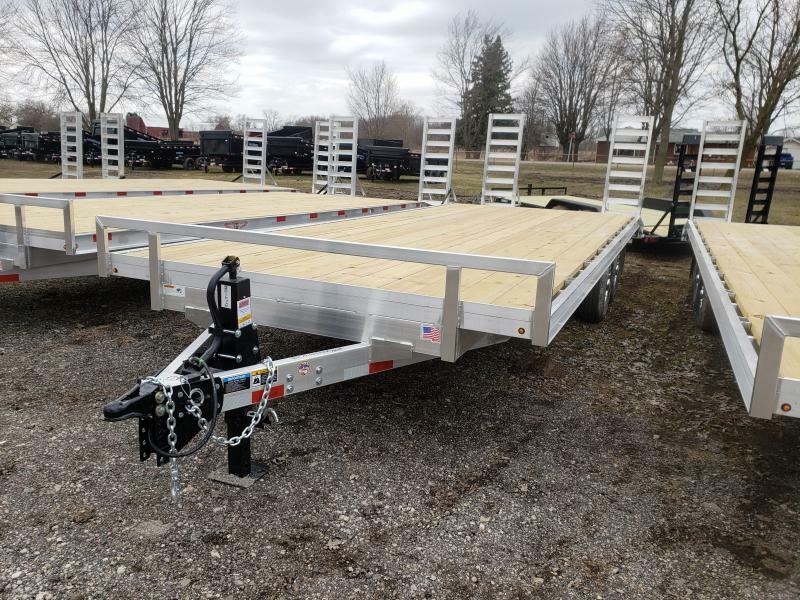 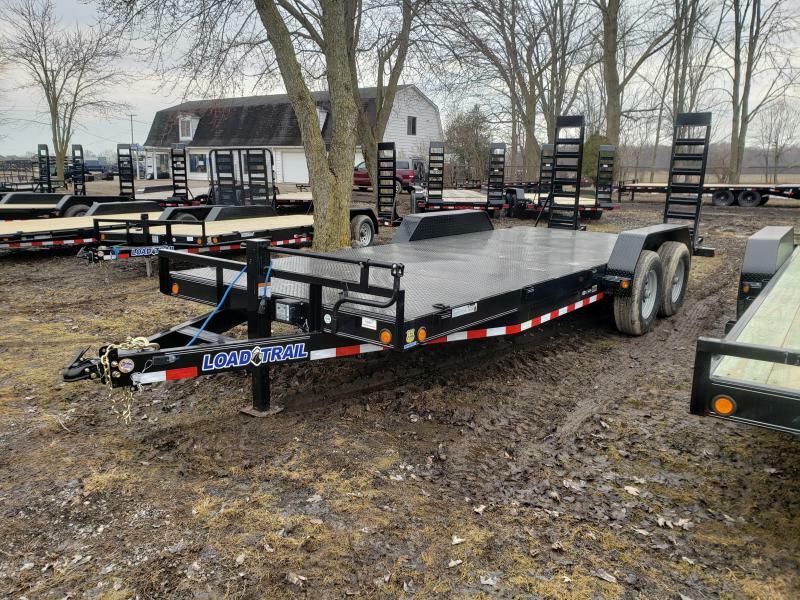 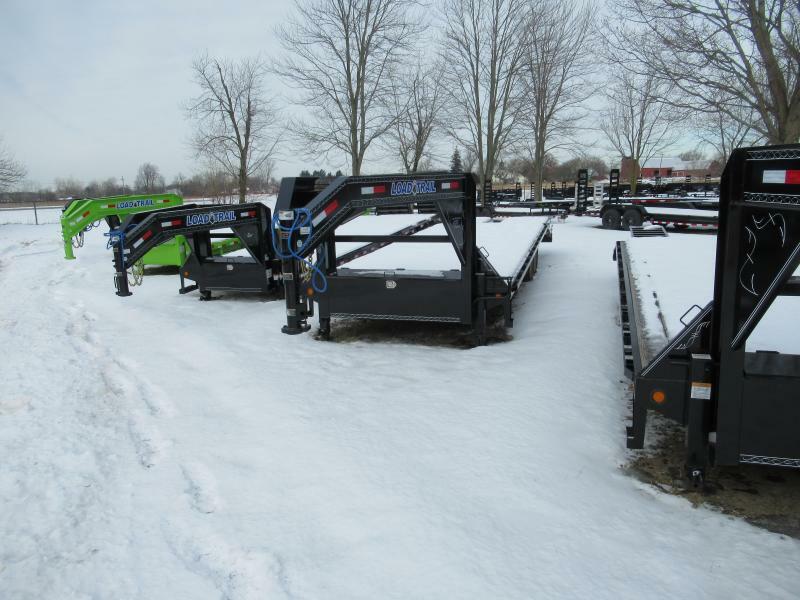 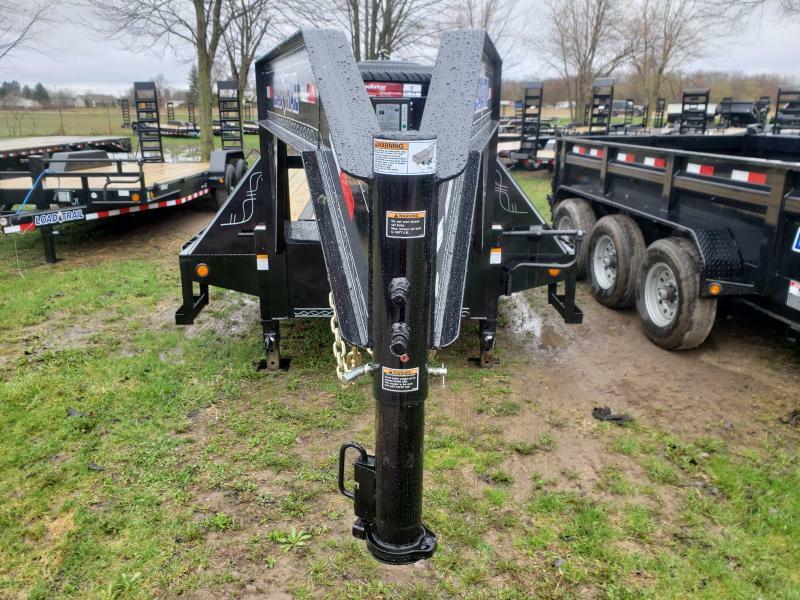 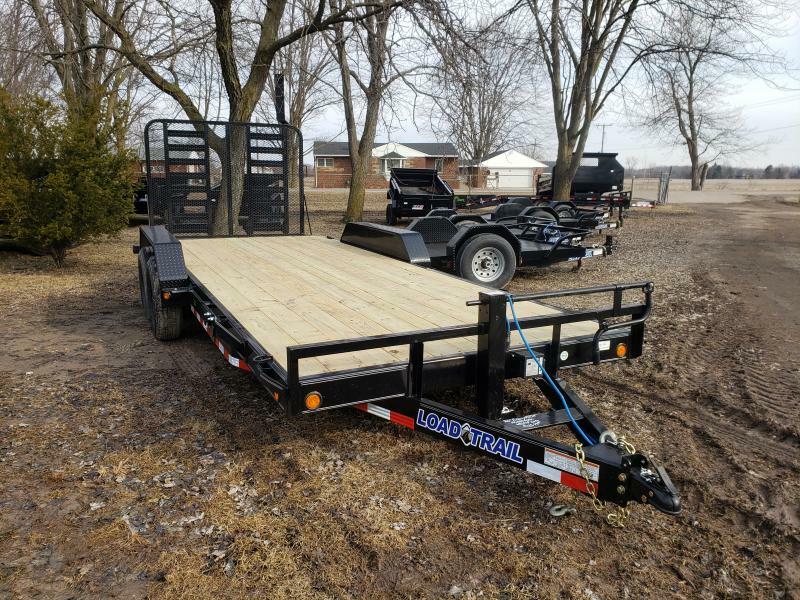 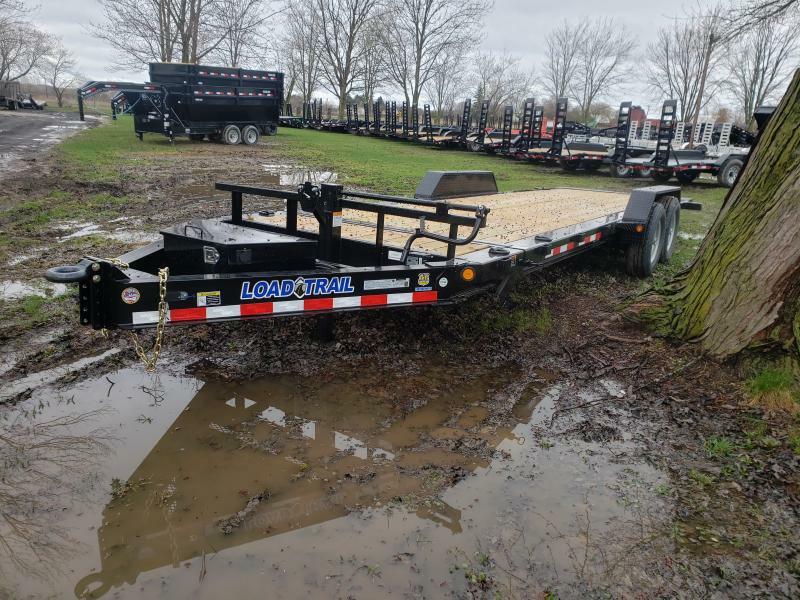 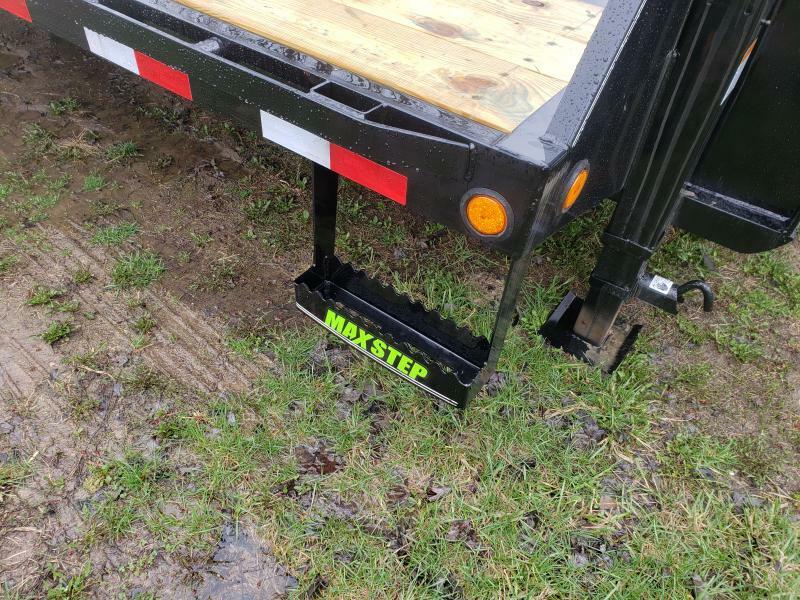 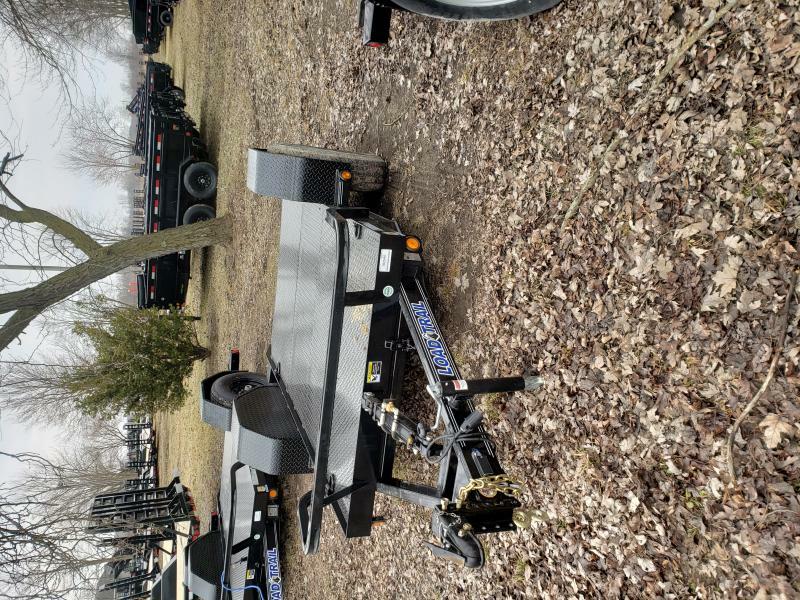 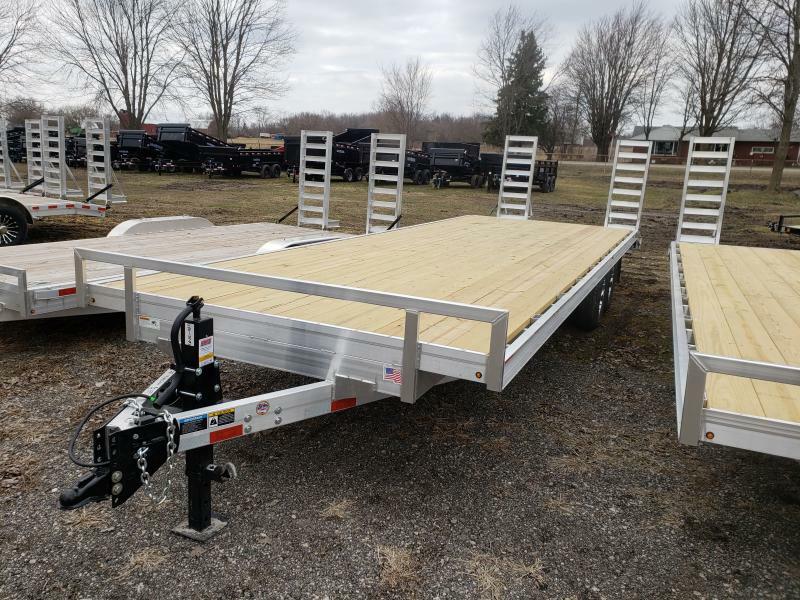 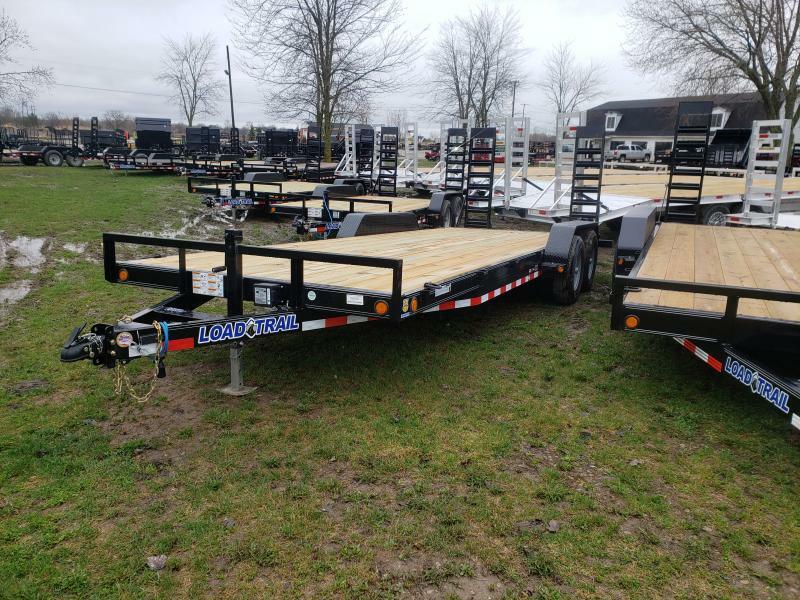 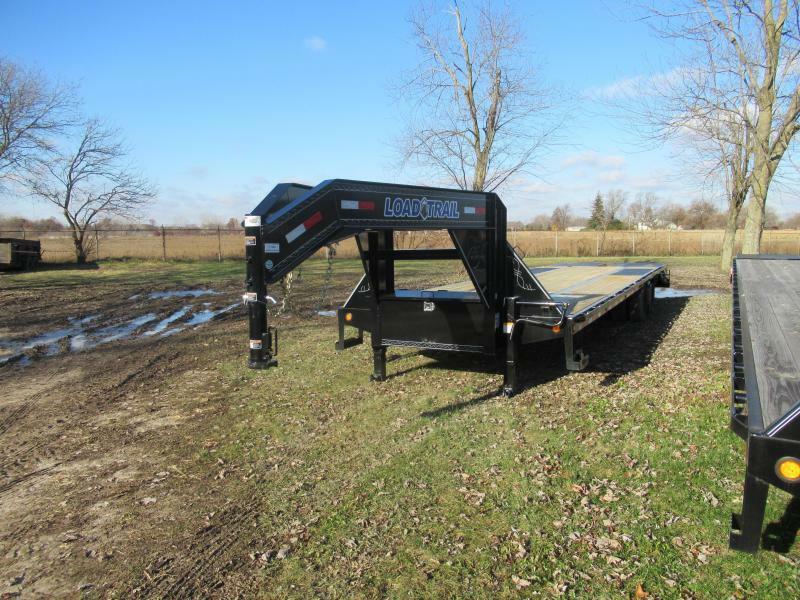 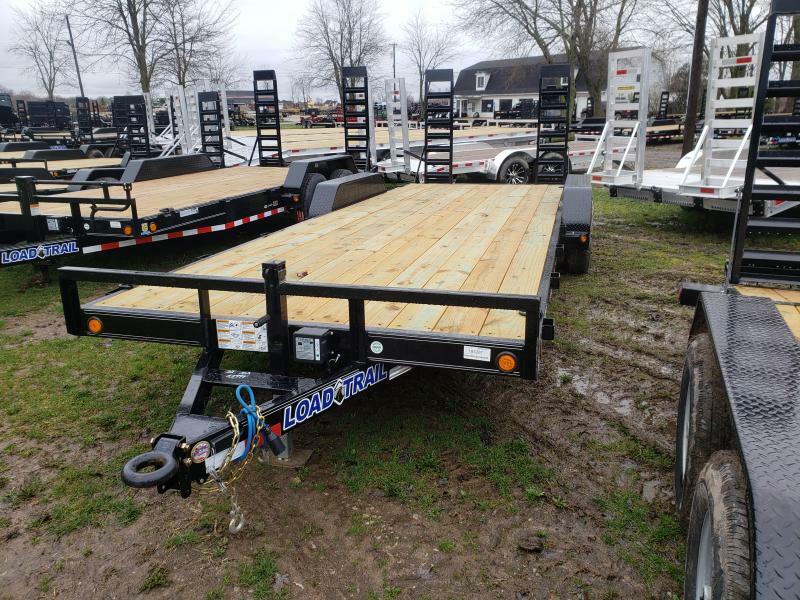 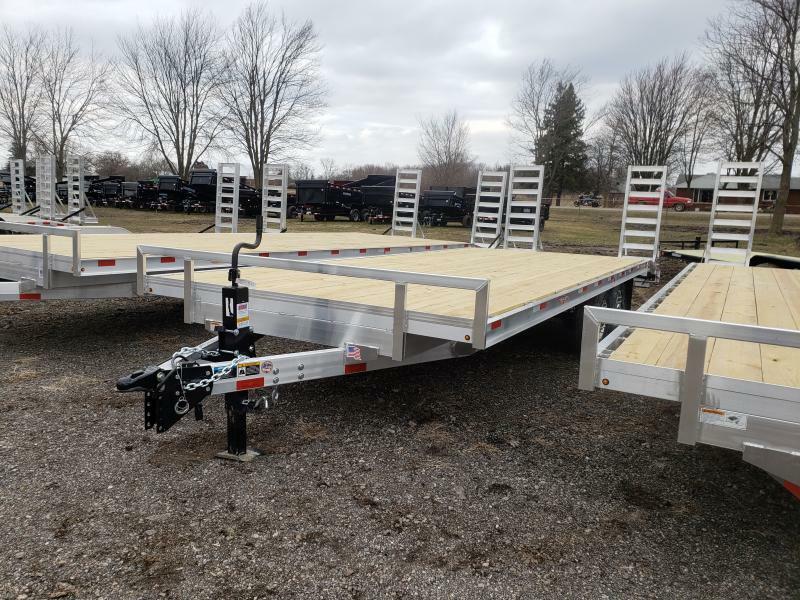 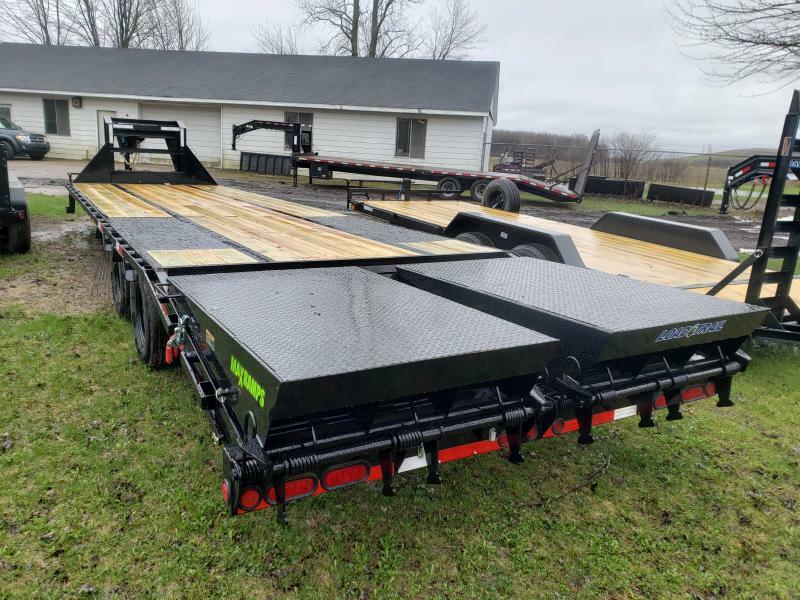 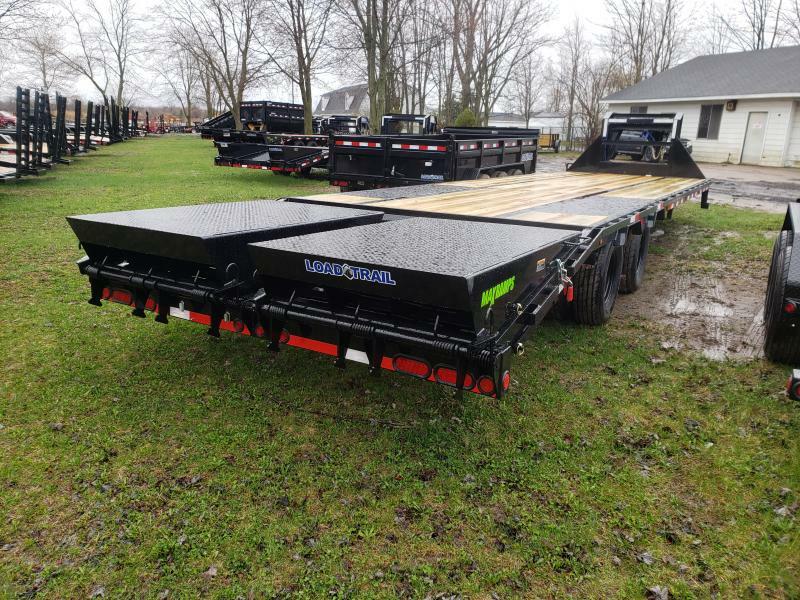 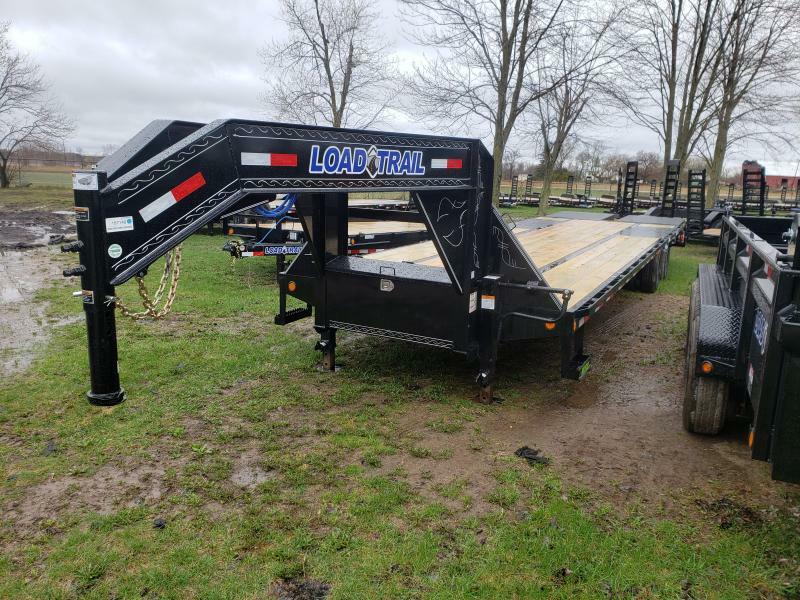 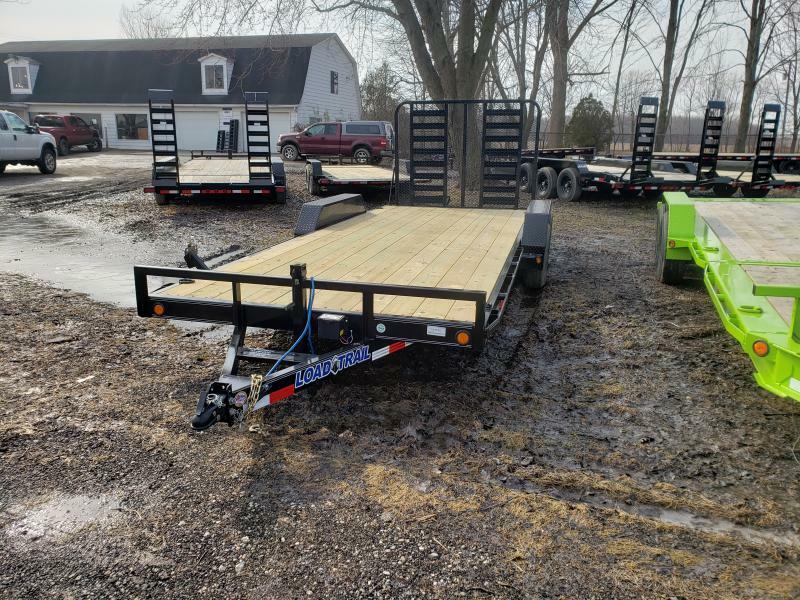 This trailer comes with 22,000 G.V.W., LED lights, 16 inch O/C cross members, Primer and powder coat paint, Both axle brakes, Dexter axle with forward adjusting brakes, 2-10,000# axles, I-beam main frame, Gooseneck, self cleaning Dove tail with flip over MEGA ramps, one of the best 2-3-2 warranty in the industry.